On October 16, 2015, the National Academy of Medicine and the Institute of Medicine hosted the third annual DC Public Health Case Challenge. The case challenge aims to promote interdisciplinary, problem-based learning around a public health issue of importance to the local Washington, DC, community. Universities in the DC area formed teams consisting of three to six members from at least three disciplines. Teams were given a case, written by an independent team of students from the participating universities, that provides background information on a local public health problem. Teams were given two weeks to devise a comprehensive intervention, which they presented to an expert panel of judges. Teams were judged on the interdisciplinary nature of their response, feasibility of implementation, creativity, and practicality. The 2015 Case Challenge topic was Supporting Mental Health in Older Veterans. The student teams were asked to develop a solution to this pressing DC problem with a hypothetical $1.2 million budget. The 2015 Grand Prize winner was American University. Team members Bailey Cunningham, Alexa Edmier, Madison Hayes, Caroline Sell, Hana Stenson, and Shreya Veera proposed a solution titled The Open Door. Their intervention was intended to connect veterans to existing resources in DC with a focus on those veterans who cannot leave their homes, and included a mobility team to support veterans with physical disabilities. Creativity Prize: University of Maryland team, whose intervention, titled SAVI-FAM: Supporting Aging Veterans via Interdisciplinary Focused Assessments and Management, was designed to serve as a bridge between mental health care providers and elderly veterans. 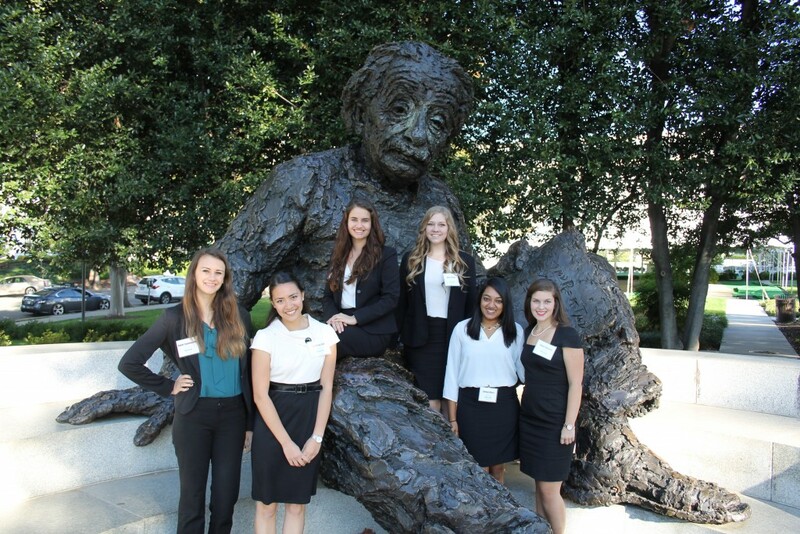 (Team members: Josh Chou, Brooke Hyman; Diana-Lynne Hsu; Daniela Minkin; Lauren Whittaker). Catherine L. Grus, Deputy Executive Director for Education, American Psychological Association (APA); representative to IOM Global Forum on Innovation in Health Professional Education. Funding for the DC Public Health Case Challenge is provided by the NAM’s Kellogg Health of the Public Fund and the Roundtable on Population Health Improvement. For more information, contact Amy Geller at ageller@nas.edu.